As a family owned and operated business, we value the ongoing relationships we achieve with our customers. For over 30 years, our trained and certified team has provided the Chester County and the surrounding area with prompt, courteous service with custom estimation, design, and installation of heating and air conditioning systems for residential and commercial spaces. We take great pride in providing innovative design, clean and professional installations, and customized solutions for our clients. We service equipment that uses fuel oil, natural and propane gas, as well as heat pumps, humidifiers, air cleaners, air filtration systems and ultraviolet lights. At James Brown, we are committed to creating environmentally conscious heating and air conditioning systems for a more sustainable world. This is the degree of difference. 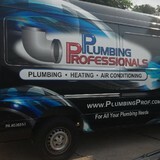 Palmerio Plumbing LLC is a plumbing contractor / plumber serving the Gilbertsville, PA area. 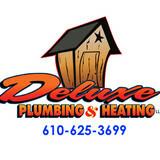 Services include Plumbing, Commercial Plumbing, Emergency Service, Water Heater, Commercial Drain Cleaning, Drain Cleaning, Sewer Repair, Sewer Line Cleaning, Sewer Line Camera Inspection, Plumbing Camera Inspection, Sump Pump, Sink Plumbing, Faucet Repair, Frozen Pipes, Burst Pipe, Piping, RePiping, Clogged Drain, Shower Plumbing, Toilet Repair, Dishwasher Plumbing, Bathtub Plumbing, Furnace Plumbing, Boiler Repair, Wells and Pumps, Gas Piping and Baseboard Heating. For over sixty years, Mattioni Plumbing, Heating & Cooling Inc.’s dedicated employees have proudly served the Chester County, Pennsylvania area with their knowledgeable, courteous, and professional service. A plumbing contractor handles the installation and repair of water, sewage and natural gas pipes throughout a home, as well as interior and exterior faucets and fixtures. Plumbing contractors are also trained to work with water mains, septic tanks, laundry appliances, water heaters, sump pumps and other plumbing and pipe systems. Because plumbing repair work is done largely behind walls and beneath floors, some plumbing companies can also patch or replace tile, stonework and other surfaces. Although some Reading plumbers are generalists, others specialize in specific areas; a 24 hour emergency plumber will handle urgent residential repairs, while others may be more skilled in remodeling, natural gas lines, overhead sprinkler systems and more. Find a local Reading plumber on Houzz. Narrow your search in the Professionals section of the website to plumbing contractors in Reading, PA. You may also look through photos of Reading, PA projects to find a licensed plumber who has worked on a project similar to yours. Here are some related professionals and vendors to complement the work of plumbers: General Contractors, Septic Tanks & Systems, Kitchen & Bath Designers, Kitchen & Bath Remodelers.